Blackjack is one of the most popular card games around and played in casinos across the globe. Otherwise known as ‘Twenty-One’, the casino classic sees players compete against a dealer as they compare cards and strive to hit a blackjack. Games can be played with a single or multiple decks, while there’s a wide range of variants in existence to ensure things stay fresh at the card table. At Genting Casino, you’ve a premier pick of blackjack games ready and waiting to be enjoyed, whether you’re looking to keep it simple with solo play, or try your luck against the dealer alongside fellow players in the live casino section. European Blackjack is one variant of this popular card table game available at Genting Casino. In fact, it’s the standard approach to the blackjack rulebook when playing in the non-live section of the website. This variant of blackjack is arguably a fairer one to the player, with rules designed to benefit the punter. This version of blackjack sees you having to beat the dealer, building up a card value that’s close to, but not over, a total of 21. To begin, you need to place a bet. Once you’ve done that, you have to hit deal to commence play. You then receive two face-up cards, with the dealer receiving one card. All of these face cards have a value of 10, while any Aces are worth 1 or 11. All other cards are awarded their face value. When a total card value amounts to 21 thanks to a card with a value of 10 and an Ace, you’ve got a Blackjack. Another feature of this version of the game is that should the dealer have a face card that’s an Ace, you get the option of insuring against the Dealer getting a Blackjack. You can choose to accept or decline, but it certainly grants the player more confidence when betting. Sometimes, people like to play alone and focus on the task in hand when enjoying a punt. Other times, only playing alongside others matches the thrill of being in a land-based casino. At Genting Casino, you can choose either option. Those who prefer to play independently of other players can choose from the suite of blackjack titles available in the main gaming lobby of the casino, with user-friendly play features and immersive graphics ensuring a great experience. On the other hand, there’s multiplayer potential to be had should you venture into the live section of the casino. Here, you’ll find a range of tables manned by live dealers from one of two studios to choose from. If you’re looking to rub virtual shoulders with fellow players, this is the place to be. What’s more, if you’re eligible for the VIP scheme, you can go up against the house in some good company in dedicated multiplayer VIP table rooms. Live blackjack is a particularly exciting prospect, particularly at Genting Casino. There’s two distinct live dealer options when it comes to playing blackjack at this online casino. You’ve a regular area accessible by any registered customer, giving you access to a range of blackjack tables. There’s also the enticing prospect of VIP games for anyone looking to lay some seriously big stakes. The operator has a VIP scheme in place that accepts users based on deposit amounts. Should you deposit £1,000 more, you’ll be granted instant access to the exclusive VIP Black programme. There’s huge winning potential with the live blackjack offering here, with max stakes of up to £7,500. There’s also the Crockfords area of the live section. VIP players are sometimes eligible to play here, along with anyone who’s a member of the actual land-based Crockfords casino if they’ve had exclusive tables in the past. Live dealer blackjack at Genting Casino uses Vegas rules and 8 decks. You can double on pretty much anything, barring splits. Side bets on offer with live dealer blackjack include Bet Behind, Perfect Pairs and 21+3. These are optional across all live card tables. New Customers Only. 18+. Ts&Cs Apply. Min 50x wagering, play restrictions apply.Max bonus £100, Max bonus bet of £5, 15 days to accept & 30 days to complete wagering. Deposited funds locked to casino platform until wagering met. Bonus funds used first. Genting Casino is powered by some of the leading developers in the online gambling world. The software behind their blackjack titles is no different. Genting is powered by big names like IGT, Novomatic and Ash Gaming, but it’s Playtech and Evolution Gaming that are responsible for the blackjack output to be found online at this operator. There’s a pick of multiplayer and classic blackjack options available at Genting, with Playtech powering the entirety of their regular gaming library for the popular card game. Playtech titles include Lucky Blackjack, Blackjack Switch, Pontoon, Blackjack Surrender, Perfect Blackjack, Blackjack Pro and Progressive Blackjack. Unlimited Blackjack, a live dealer take on the card classic, is also available to play courtesy of Playtech software. When it comes to the real live dealer draw, Genting blackjack has utilised Evolution Gaming to set the standard. Well known for their finesse in the realm of live dealer streaming, Evolution creates a truly immersive casino experience that’s almost as good as the real thing. At Genting Casino, you’ll find exciting live dealer variations of the card table staple including Infinite Blackjack. Our Genting Casino blackjack review has everything you need to know about return to player rates. You’ll be glad to know that Genting Casino is upfront when it comes to RTP, due in no small part to the fact it’s regularly audited. For fairness. Rates of return vary slightly depending on the exact title you’re playing, but there’s some averages to consider which can help you get a better idea of where you stand. In the case of live dealer games, return to player rate hovers at around the 98% mark. As statistics go, this is a reasonable RTP, although it doesn’t veer too far from the norm you’d find elsewhere. Prefer playing classic table games without a live dealer? If you’re trying your luck at more everyday blackjack titles from Playtech at Genting Casino, you can expect average return to player rates hovering around the 97.2% mark. Again, this will vary slightly depending on the exact title you’re playing. With such a wide variety of blackjack options at Genting Casino, there’s an entry point for all types of wager. Both the small-time punter and high roller alike are well served by Genting’s offering, with a varied pick of stake levels across classic titles in the regular game library and from the live casino experience. Looking to start small and hedge your bets? Most of the blackjack games in the regular library of table games offer low minimum bets, meaning you don’t need to spend a fortune to play. Genting Live Blackjack offers minimum bets of £5 with maximum bets of £500, while Blackjack Party offers minimum bets of just £0.50 and maximum bets of £100. Games like Silver Blackjack and Blackjack VIP are ideal for high rollers, with minimum stakes of £50 and max stakes of £300. Interested in playing live, but don’t want to spend a lot? Minimum stakes here are as low as £5 on two select tables, although you may have to up your minimum bet higher than this to stand a chance of joining a table. VIPs at the highest level can look forward to big stakes, with maximum limits for straight bets set at £7,500 on some games. If you’ve come lucky when enjoying the Genting live casino experience or pocketed a win elsewhere in the gaming library, sooner or later you’ll want to pocket your winnings for real. Thankfully, getting your hands on your accrued winnings is relatively simple at this casino operator.When it comes to withdrawing cash, almost all the same methods as allowed for depositing can be used to make a withdrawal. You can withdraw winnings to your Visa and Visa Debit, MasterCard, Maestro and Solo account with ease. You can also request payments to be made by other means such as ClickandBuy. Those without access to any of these payment methods can instead request withdrawals be paid out via cheque or bank wire transfer.Withdrawal times vary depending on the method selected. Withdrawals to eWallets take approximately 24-48 hours, while transactions to credit and debit card accounts can take anywhere from 2 to 5 working days. Bank transfers can take from 3 to 7 days, while payments of winnings via cheque can take considerably longer, taking anywhere from 14-28 days. A maximum pending time of 24 hours applies to all withdrawal requests.It’s worth noting that there are currently no withdrawal limit restrictions in place at Genting Casino. Customer service is a point of contention for some users of Genting Casino. Although the operator provides a generally reliable customer service offering, it is lacking in certain areas. Let’s first look at what is on offer in the way of customer support at Genting Casino. The operator provides a dedicated support email address, which is ideal for those in an immediate hurry for a response or customers who might need to send attachments as part of their query. There’s also a very handy live chat option on offer. If you’re in the midst of play and come upon a problem, you can quickly connect to an agent and begin the steps to resolve your issue. However, there’s a key area of customer support where Genting Casino stands out in its shortcomings. Rather than provide customers with a telephone number that they can use to contact help agents, they instead offer a function where customers can request a callback from the casino. The idea behind this is that the operator can more effectively designate resource to help customers with their queries, but it might prove frustrating to those requiring an immediate answer. That being said, it’s a relatively efficient approach to customer support over the phone and saves customers the cost of a call. When it comes to online security, Genting Casino is leaps and bounds above many other operators. Today, the casino has operations across multiple continents, with hundreds of available games and an enticing live casino experience. An established bricks and mortar casino in the real world that’s been well within licensing compliance and regulation for decades, Genting’s live casino is no different. Genting holds two key licenses, including one with the Alderney Gambling Control Commission, one of the oldest and most reputable casino regulators in the world. Specific to its UK operation, the casino operator also holds a license with the UK Gambling Commission. The operator is tightly monitored to ensure that segregated accounts are utilised to secure funds, as well as to ensure they’re employing SSL encryption across all transactions that have been eCOGRA certified for fair play. No matter whether you’re trying your hand at a classic table game or delving into a Genting live casino experience, you can rest assured that you’re playing at one of the most reputable and trustworthy operators around. This peace of mind applies to both desktop and mobile interfaces, so you can play with confidence on both your desktop and mobile device. The Genting live casino experience is perhaps the most enticing aspect of the website as it stands today. Thanks to Evolution Gaming, a pioneer in live casino streaming software, Genting Casino can now deliver an enthralling experience for punters looking to try their hand at blackjack with an authentic atmosphere. There’s a wide selection of live casino games on offer, with blackjack chief among them. Players can choose from the regular blackjack room or try their luck in the VIP player room if they qualify. There’s no need to worry about being palmed off with pre-recorded segments here. All interactions with the dealer are genuine, with a flesh and blood dealer based in one of several bonafide casino locations dealing cards and calling the shots. Players can personalise their playing interface by selecting from different camera angles, making live dealer experiences even more immersive. How many blackjack variants can you play at Genting Casino? There’s a good pick of blackjack options at this online casino, with six different variants to choose from the regular gaming library. In addition to these Playtech titles, you’ll find a further two blackjack variants on offer should you wish to play at the live casino. Can you win at blackjack at Genting Casino ? It seems obvious, but it’s worth reminding yourself that any turn at the blackjack table is a gamble. What’s more, games like blackjack always have a house edge to the benefit of the operator. That being said, decent return to player rates mean it’s possible to pocket some healthy winnings at Genting. Is Genting Casino a safe and trustworthy place to play Blackjack? This established operator has a very credible reputation, both online and off. You can play with confidence knowing that you’re with a fully licensed casino that’s also eCOGRA certified to ensure fair play. What’s more, you can rest assured this operator utilises effective encryption protocols to keep your sensitive information safe. Does Genting Casino offer any blackjack training for players? If you’re looking to polish up on the rules of blackjack, you won’t find any training facilities online at Genting as such. However, you will find detailed rules sections outlining the ins and outs of each game you’re looking to enjoy, meaning you can get clued up on the basics. What is the best way to contact Genting Casino ? Whatever query you’re looking to have resolved, you’re always best served to put in a request for a callback from Genting Casino. 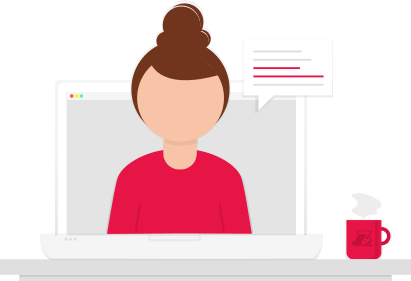 The operator is relatively prompt when it comes to contacting customers who’ve left a request, while live chat is always an option for those after 24/7 support. Do I have to download sоftware to play at Genting Casino? You’re not required to download any specific software in order to play blackjack and other games online at Genting Casino. However, for the best possible play experience, it’s advised you download the dedicated software, which grants enhanced playback features and full access to the gaming library.